TREEFROG: If you want to find the box, FIGHT ME! SIR POWER: PREPARE TO DIE VAMPIRE SCUM! SIR POWER: Sorry, wrong universe. I'll be leaving now. SIR POWER: Say hi to your dad, for me. VENUS: WAIT I NEED ANSWERS! 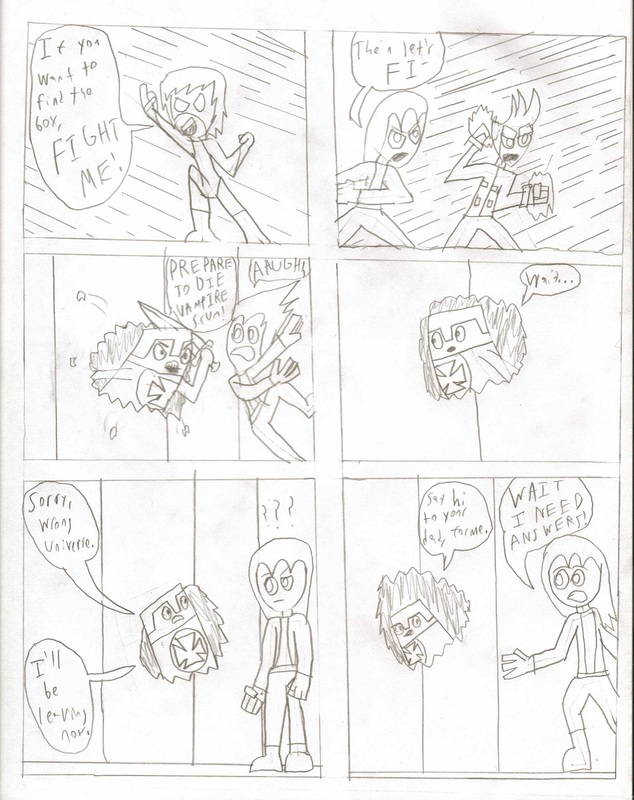 First off, I'd like to thank Zero Hour for approving my idea to use one of his comic's characters. Oh, April First, how I wish I never grew out of you/kept enough close friends to have a reasonable pool of suckers. But at least in the world of webcomics, you don't need a mark any more specific than "anyone looking for an odd page". April Fools comics run the range, with some being insanely awesome, flat-out legendary, or something else entirely. Doubt I'm ever going to get there. Also, if things went according to plan, I could've just had a one-day early anniversary comic - LECTRO's first page would've been published on April 1st, 2018. Anyways, that's enough from me. Go cause some minor discord. I was worried you'd not like Power's portrayal. An approval means a lot, coming from you.